Product information "Zen Floor Lamp"
The Zen floor lamp combines modern practicality and spiritual light circulation. The concept of Mosru Mohiuddin thereby impresses with a polished aluminum structure which emits a bright interior arrangement by LED lamps that are controllable with a touch dimmer. 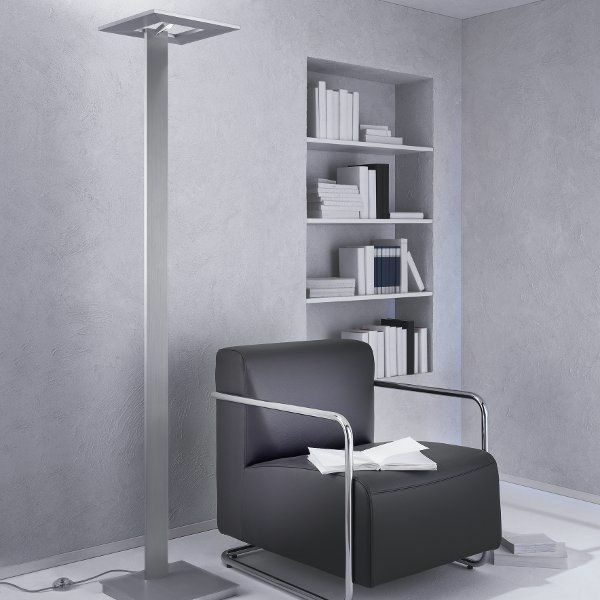 The energy-saving floor lamp also features a footswitch and is produced by Escale. Dimensions in inch (WxHxD): 12.6" x 70.87" x 12.6"
Related links to "Zen Floor Lamp"